I wish you all a Happy Mahashivratri . Mahashivaratri Festival or the ‘The Night of Shiva’ is celebrated with devotion and in honor of Lord Shiva, one of the deities of Hindu Trinity. People perform ritual worship of Shiva Lingam to appease Lord Shiva. It is also Believed that While married women pray for the well being of their husbands unmarried women pray for a husband like Lord Shiva, who is regarded as the ideal husband. (Source: http://www.jyotirlingas.com/festival-lord-shiva.html). Wash the tapioca pearls or sabudana and soak them in water pearls for 10 minutes and drain them. Keep it aside for about 15 -20 minutes. In a thick bottomed pot, bring the milk to boil. Stir the milk continuously to prevent it from sticking at the bottom of the pot. 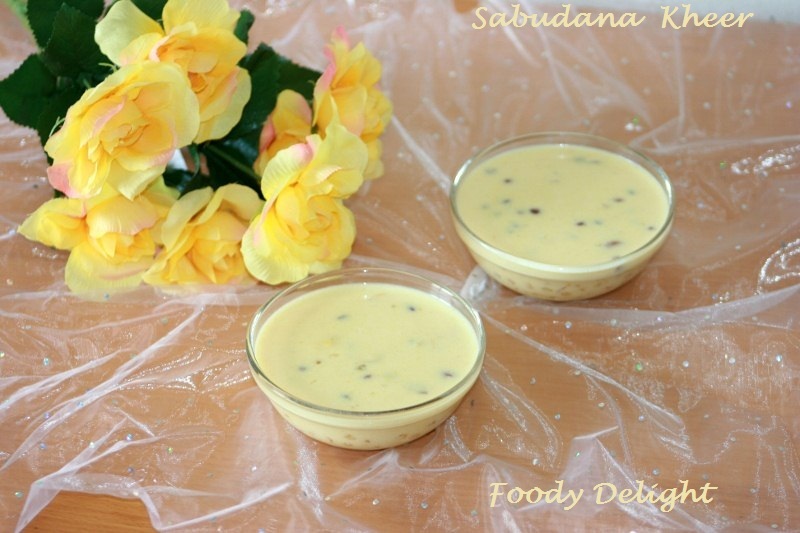 Add sabudana into the milk and cook till the sabudana plump and becomes soft. You can also check the sabudana by pressing them in between your fingers. 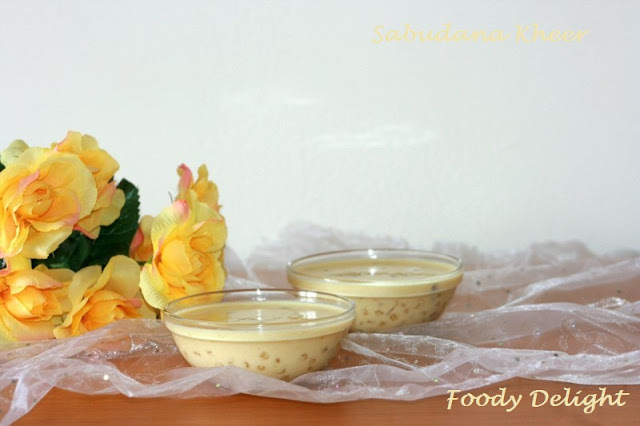 Mix in condensed milk, cardamom powder and saffron to the milk. Meanwhile also fry the dry fruits and add them into the kheer. Simmer the kheer for 10 minutes while constantly stirring. Switch off the heat and cool for a while and pudding is ready to serve. 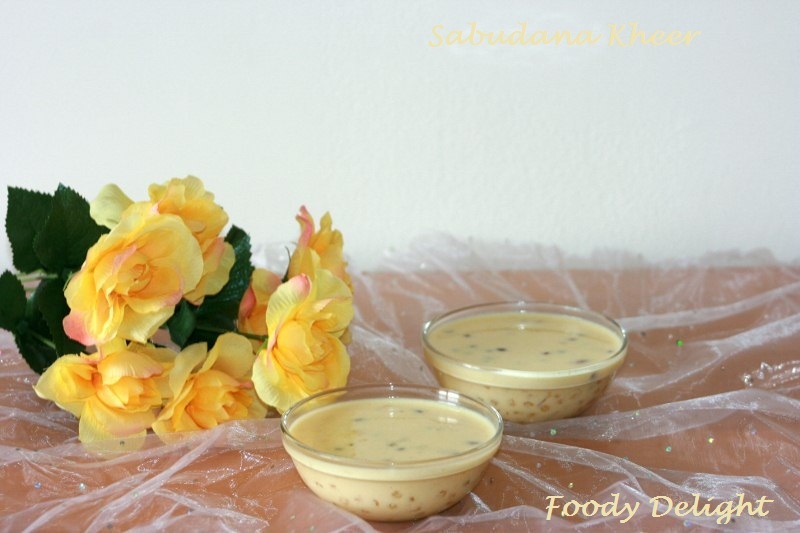 Such a rich looking kheer, love that bowl.